You are invited to an Indian wedding? Do not panic! There, we admire, and some ideas to pique our Bollywood stars. To summarize, there is the traditional saree golden (do not listen to those that you disents walleye is for mature women). 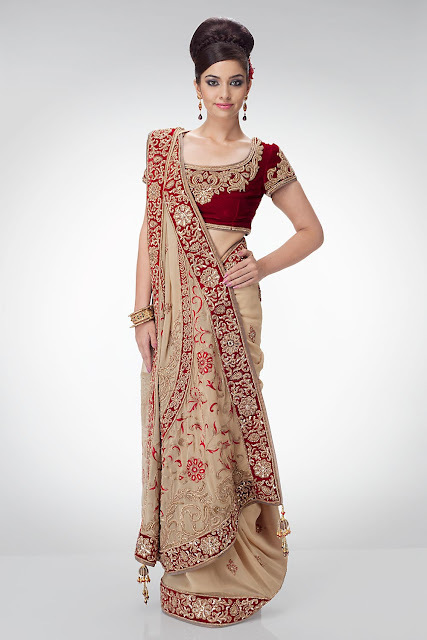 The anvantage saree of gold is that it is very easy to accessorize. But as it is in fact gold is not over, we have the right to some jewelry and a clutch bag for example. There is also the lehenga and this year we dare color. Asin and Diya Mirza are the best examples for this look. Another very interesting example: this dress very inspired by the saree. This creation is signed Shivan & Naresh.